Samsung Galaxy Trend Plus is a mid range smartphone with 4 inch display with 800 x 480 pixels resolution and is powered by 1.2 GHz Dual Core Snapdragon 400 Processor. It runs on Android 4.2 Jelly Bean Operating System. It has 768 MB RAM with 4 GB internal storage and 32 GB expandable memory using micro SD card. It features 5 megapixel rear camera along with the front VGA camera. 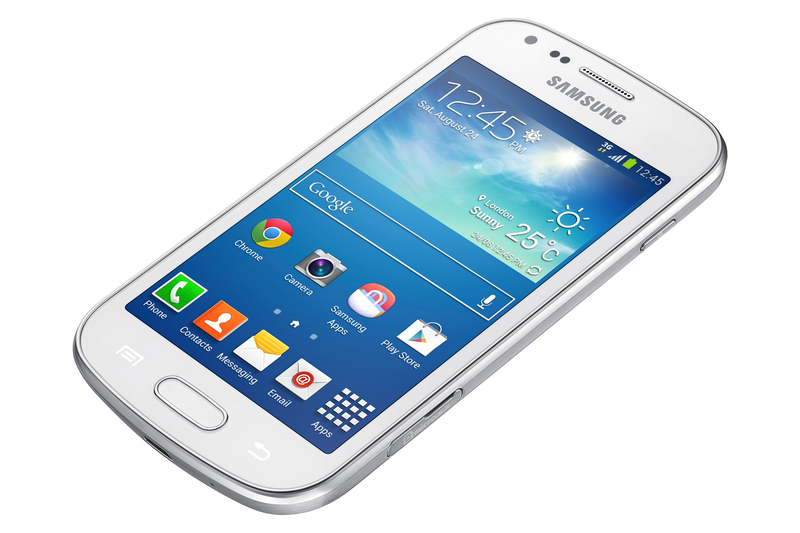 Here is the tutorial explaining how to root Samsung Galaxy Trend Plus GT-S7580. Rooting the device has so many benefits like rooting deleting everything on the phone storage like default games and apps and it frees some phone memory and you can used it for some other content. Rooting improve the battery life and performance of the device. The device gets the latest Android version on rooting. As rooting is not an authorized process you need to follow some instructions and warnings. Remember that this rooting method is applicable only for Samsung Galaxy Trend Plus GT-S7580 and don’t try it on other devices. Before rooting backup everything on your phone’s memory, because rooting wipes out the full phone memory. As it is not an authorized process, rooting the device may void the warranty of your device. After rooting the device you will not receive any official firmware updates from the side of your manufacturer. Download the Update_SuperSU_v1.34.zip package from here. Before rooting make sure that the battery is more than 70%. Download the root package from the above given link and extract the files on to your desktop. Enable USB debugging on your device by going to Settings>>Applications>>Developer Options>>USB debugging. Now connect your device to PC with USB and copy the Update_SuperSU_v1.34.zip file and paste it on your device SD card. Now disconnect your device and switch it off and press and hold the Home+Power+Volume up buttons for five seconds and now boot it into the CWM recovery. When rooting you just need to use the power button and volume buttons. Highlight the install zip option using the volume up and down buttons and the power button to select it. Then select Zip from the internal SD card. Go the location Update_SuperSU_v1.34.zip and select it to flash it. After flashing now go to the main menu and reboot your device. Congrats, your device has been successfully rooted and now enjoy the rooting benefits.